The Irish government should expel the Israeli ambassador to Ireland following the killing of 58 Palestinians by the Israeli military in Gaza, Sinn Féin President Mary Lou McDonald has said. 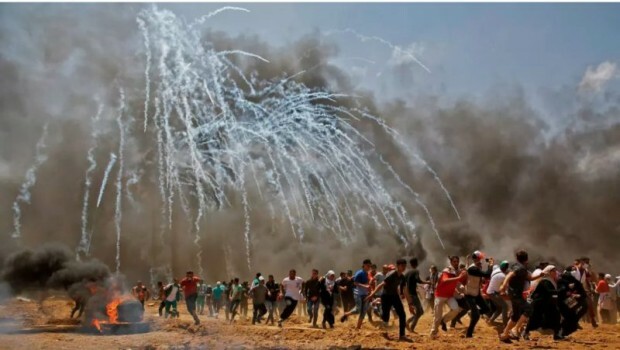 The massacre at yesterday’s demonstrations came ahead of the 70th anniversary of the Nakba when thousands of Palestinians were killed and hundreds of thousands forced from their homes in 1948. Mary Lou McDonald said: “What is happening in Gaza is an atrocity. There is no other way to describe it. Dozens of unarmed protesters have been cut down by the Israeli army, over a hundred since these protests began in March. “The Palestinian people need our solidarity now. This could well be one of the bloodiest episodes in their tragic history and Ireland must take the lead among nations in saying that there can be no impunity or indemnity for state violence directed at peaceful protest,” she said. Yesterday also saw the US officially open its relocated Israeli embassy in Jerusalem, the decision made by US President Donald Trump in December has raised tensions across Jerusalem and the Palestinian territories in recent months. The status of the city of Jerusalem is one of the most sensitive issues in the region as East Jerusalem is viewed as the future capital of the State of Palestine, but it is currently occupied by Israel. The Sinn Féin leader said without “international sanction or diplomatic retribution,” there could be many more innocent civilians lives lost in the coming days. 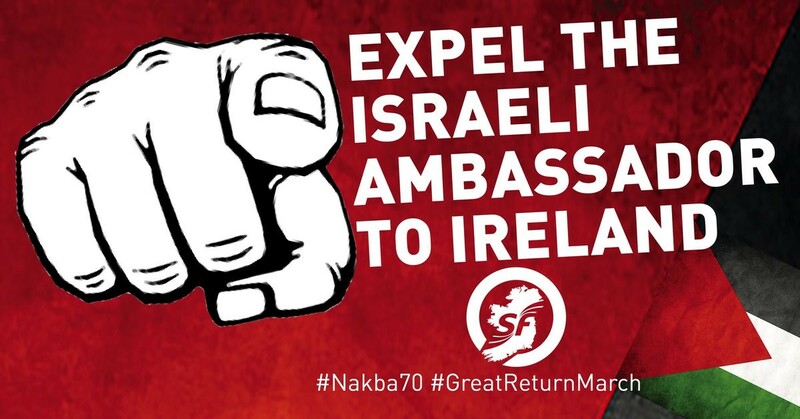 “The Irish government, so quick to follow the lead of other nations, must now take a stand and expel the Israeli diplomatic mission from Ireland in protest at these horrific events. “The Irish government must also formally recognise the state of Palestine. A Sinn Féin motion to that effect was passed by the Dáil in 2014 and successive governments have dragged their heels,” she said. Meanwhile, Sinn Féin Ard Mhéara of Dublin, Micheál MacDonncha, will open a book of condolences in Dublin's Mansion House tomorrow from 12noon to 5pm to allow people to express their condolences with the people of Palestine.